Palm Coast, FL – May 3, 2017: Northstar Senior Living, a recognized leader in the senior living industry, announced that Sabal Palms Assisted Living and Memory Care, their newest signature property, will open its sales office on May 10, located at 14 Office Park in Palm Coast Suite 5, Palm Coast, FL. 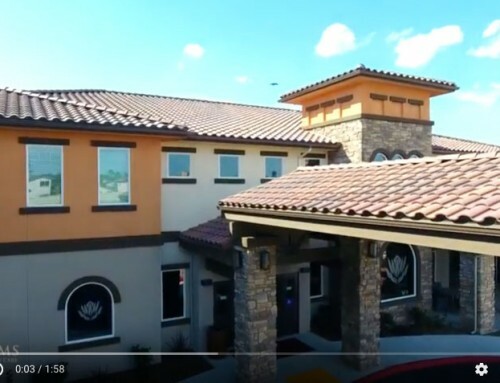 Sabal Palms will offer a personal and carefree environment where residents can experience the finer things in life while knowing that professionally trained and certified staff members are always nearby 24 hours a day. Its services are based on integrity, honesty and dignity. The property is expected to open in Winter, 2017. Located near Flagler Beach in Palm Coast and Triton Senior Living, Sabal Palms will be a world-class assisted living community providing worry-free care in an elegant, beach living environment and will feature upscale services and amenities. The richly-appointed community will offer a movie theater, fitness center, salon and spa, a dog run, a game room, a fireside lounge, a piano lounge and bar and a 24 hour bistro. Sabal Palms’ in-house restaurant “The Eat Well Cafe” will offer a range of delectable treats. 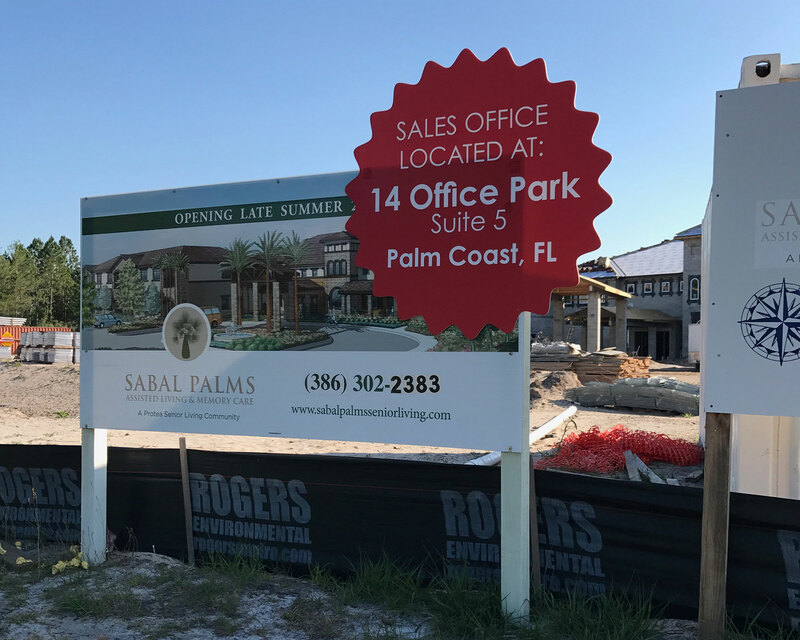 Sabal Palms will feature 88 apartment homes on a gorgeous multi-acre campus located with easy walking distance to the beach. 24 of the 88 units are part of an onsite secured memory care program called ‘Journeys’ which provides care for residents with Alzheimer’s and dementia. 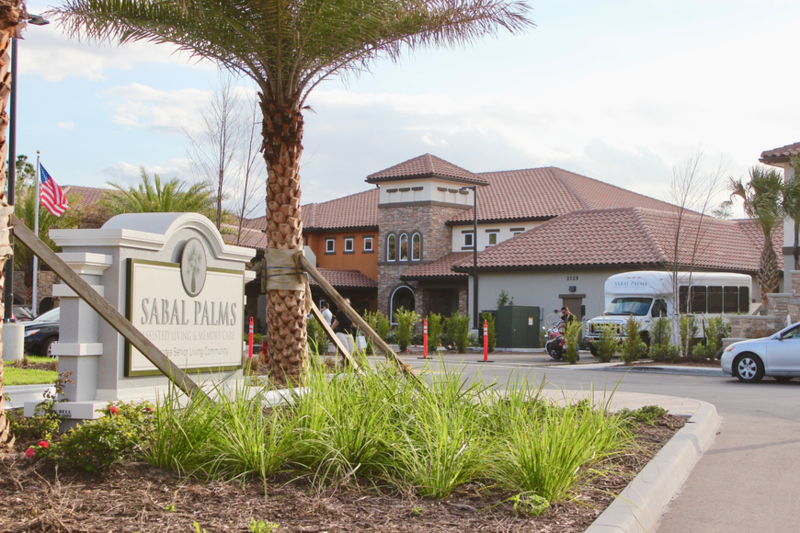 Offering the best care available and staff who become like family, Sabal Palm keeps their residents safe and comfortable in their own homes. 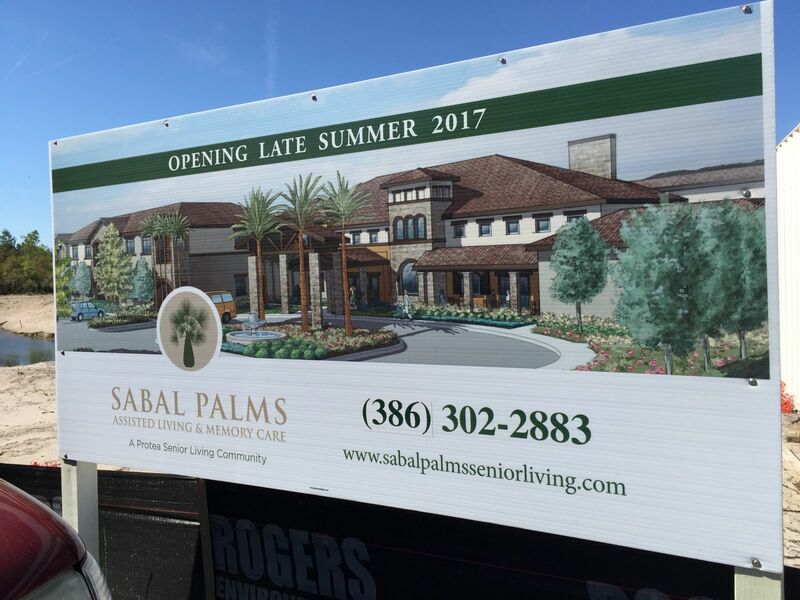 All residents moving into Sabal Palms will be evaluated and assessed by its licensed nurses to determine proper care level and treatments. Rates are all inclusive of base rent and care fees. Assisted Living accommodations will range from $4100 for a studio, $5100 for a one bedroom, to $6250 for a two bedroom. Memory Care units range from $4900 for a shared one bedroom to $6420 for a private studio. 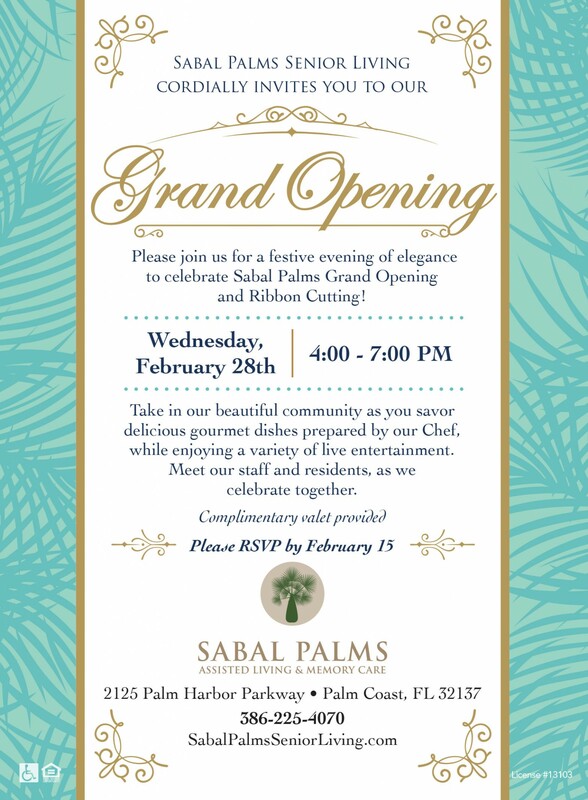 For more information about Sabal Palms, contact us at (386) 302-2383. 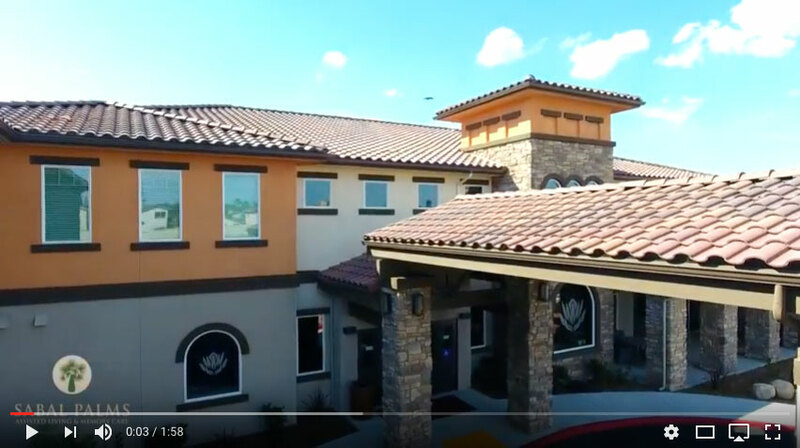 Northstar Senior Living is one of the premier providers of senior living in the country, with a highly experienced leadership team committed to setting the industry standard for excellence in senior living. 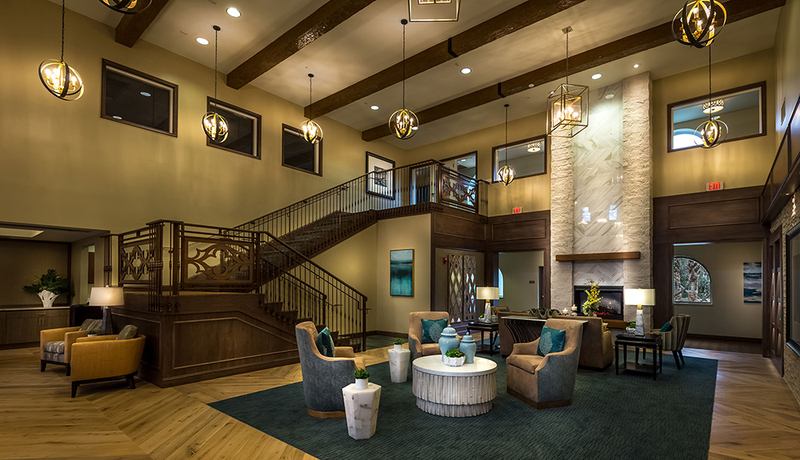 Northstar currently provides senior living management and consulting services to a growing portfolio of more than 30 senior living communities across the US and Mexico. Assisted living is a senior living option that combines housing, support services and health care, as needed. Assisted living is designed for individuals who require assistance with everyday activities such as meals, medication management or assistance, bathing, dressing and transportation. Some residents may have memory disorders including Alzheimer’s, or they may need help with mobility, incontinence or other challenges. Residents are assessed upon move in, or any time there is a change in condition. The assessment is used to develop an Individualized Service Plan. Our Memory Care centers are comfortable and homelike. At the heart of the Northstar Senior Living approach is our emphasis on the dignity of each memory care resident. Our staff looks for opportunities to help residents succeed at familiar tasks, whether it is making their bed or baking a sheet of cookies. These activities give residents the opportunity to experience the satisfaction of a job well done, yet a helping hand is always nearby. Northstar consults extensively with family members to develop familiar and comforting activities for each Memory Care resident that reflect the routines they have established over a lifetime. We place a premium on involving our residents’ family members in their care. We frequently communicate with family members and encourage their participation in all aspects of life.